"A Sparkling World of Christmas Magic Surrounds You Right in the Majestic Opryland Hotel"
"A Sparkling World of Christmas Magic Surrounds You Right in the Majestic Opryland Hotel". Opryland Hotel in Nashville is recognized around the world for its extraordinary service, luxurious accommodation and first-class entertainment. Under majestic, climate-controlled glass atriums, you'll be surrounded by nine acres of lush indoor gardens, winding rivers and pathways, and sparkling waterfalls where you can unwind, explore, shop, dine, and be entertained to your heart's content. Highlights include a 44-foot waterfall, half-acre lake and fountain shows - all right inside the hotel! And wait 'til you see how they "deck the halls" at Christmas time - it is AMAZING! There are over 2 million lights, 15,000 poinsettias, holiday scenes galore, larger-than-life decorations, and much more. One of our top Holiday Tours every year! 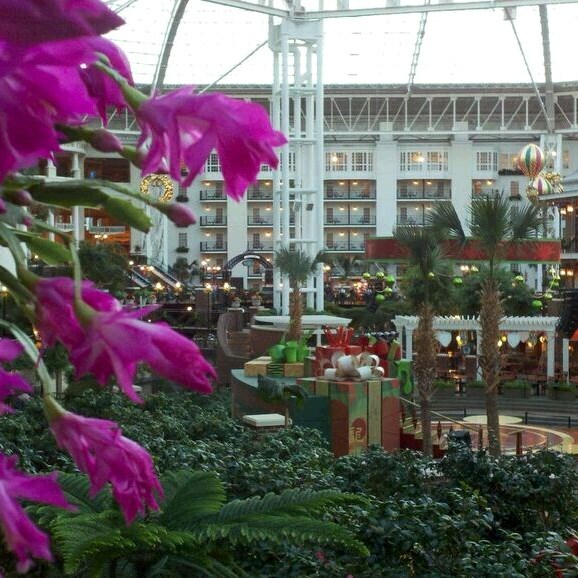 Enjoy a leisure morning at the lavish Opryland Complex with time to take it all in as there is no better place to be at Christmas time - everyone should see this at least once (if not more!) in their lifetime because that's how impressive it truly is. 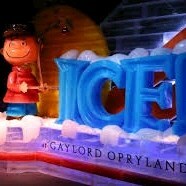 (The Opryland complex is huge and you will want to see everything so be sure to bring comfortable walking shoes). Stroll through the nine acres of lush indoor gardens all decorate for the holidays. Enjoy the many, many various Christmas trees throughout the entire hotel which are all stunningly decorated like no other. Your package includes their indoor Delta River Flatboat ride to see it all as you glide through the indoor hotel waterway which meanders throughout the beautiful lush greenery and waterfalls. Later this morning we will step aboard the world's grandest showboat of all aboard the General Jackson for an impressive lunch cruise including top notch entertainment on board. 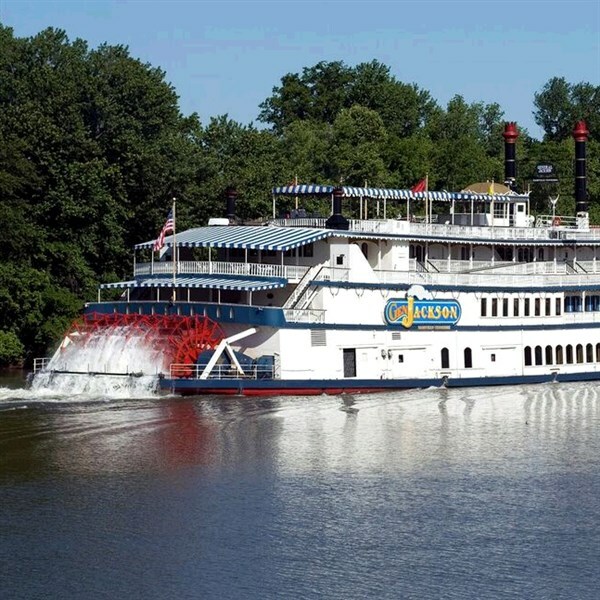 You will enjoy cruising on this 300-foot long vessel styled in the grand tradition of the paddlewheel riverboats which cruised in the 1800's - its like stepping back in time to a grand era. The General Jackson has four massive decks which offer a lovely setting for a delicious feast while cruising the Cumberland River in Nashville. Their on-board holiday show is known to be their best show of all, so sit back and enjoy this afternoon's entertainment. 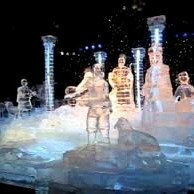 Later this afternoon we'll visit the sparkling "Fantasy In Ice" where you will enter an unbelievable word of ice sculptures like none other with incredible hand-carved displays which are all handcrafted from 1 million pounds of ice. Tonight, get ready for an evening extravaganza at Opryland's Country Christmas Dinner Party held each year at Opryland Ballroom as you share in the wonder and warmth of a true down-home Christmas Dinner and Show. Each year Opryland presents as most outstanding production live on stage (as they are so well known for!) which features a memory-making event for all attendees and an elaborate, delicious holiday feast with all the trimmings - you will simply LOVE this experience as you are whisked away into a land of Christmas. This morning, we will meet our local professional tour guide who will take us on a fascinating city tour of Nashville as we learn of the rich history of Music City with all the highlights. During your tour, you will see such sights as Tennessee State Museum, Tennessee Capitol, famous Music Row, Centennial Park, The beautiful Parthenon, historic 2nd Avenue and much, much more. 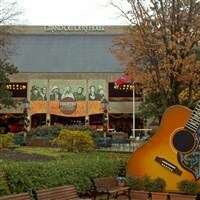 After our tour you will have more free time at your hotel complex and we will also make a stop at the nearby Opry Mills which is simply filled with 200+ stores and is Tennessee's largest outlet. (This is a beautiful indoor mall with a lovely setting to shop and eat lunch or relax as you wish which is located on the Opryland complex). Just to name a few, some of the top stores include Saks Fifth Avenue, Bass Pro Outdoor World, Vera Bradley, and many, many more. In addition there are lots of restaurants and eateries from full service to fast food options. Enjoy dinner on your own at your choice of one of the hotel's many restaurants and eateries. At dark, you simply must see the outside lights (which take many intense weeks to meticulously put up each year) so put on your coat and take a stroll - it's a magical land of sparkle everywhere you look which you don't want to miss. 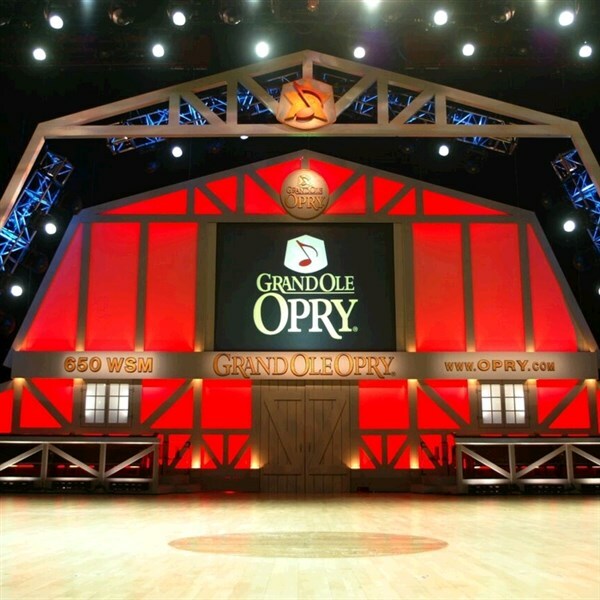 This evening we will attend Nashville's grandest show of all at the Ryman Auditorium for the iconic and long-running, Grand Ole Opry...sit back and enjoy this blessed event which brings top notch performers to the stage - we never know who may show up! Breakfast is included and then we must say boodbye to Nashville and all it's Christmas splendor as our motorcoach brings us back home after a wonderful Opryland experience. Shows and schedules are subject to change without notice according to the offerings at the destination which may dictate a revised order of itinerary which is beyond our control. We will make every effort to try and hold to our original plan, but at time of print we were still waiting for performers to confirm their schedule in Nashville. We appreciate your understanding while we try very hard to offer the best available choices on our trip each year. CALL SOON...we are not always able to get everyone on - the space goes very fast!